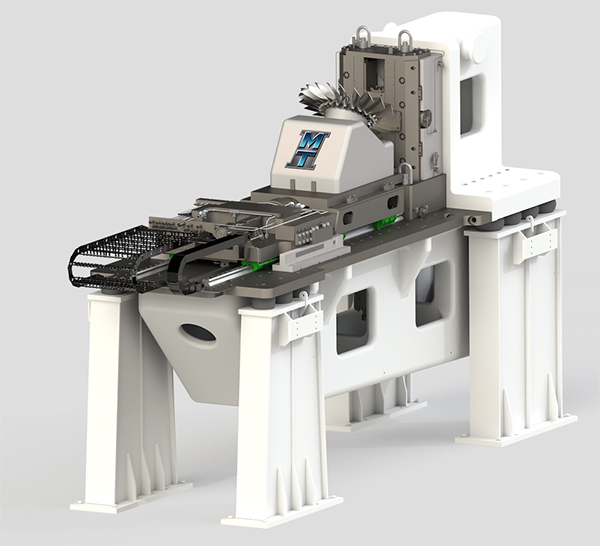 Manufacturing Technology Inc. (MTI) in Indiana Tuesday announced it has shipped North America’s first linear friction welder capable of full-sized part development, the LF35-75, to Detroit’s Lightweight Innovations for Tomorrow (LIFT). Located in Corktown, LIFT will use the welder in its light-weighting research for the automotive and aerospace sectors. The LF35-75, which weighs 122,000 pounds — as much as a Boeing 737 — has the largest tooling envelop of any linear friction welder in the world, allowing for the production of the largest full-scale parts available. It will bring the same linear friction welding technology used in aerospace to achieve light-weighting blisks and integrally bladed rotors to aircraft engines and the automotive industry. MTI and LIFT will have shared capacities of the machine. MTI will run and maintain the machine at LIFT’s facility. It will also complete customer-directed work on the machine and support LIFT’s programs. MTI specializes in friction welding technologies. LIFT is one of the founding members of Manufacturing USA, a private-public partnership designed to help develop and deploy advanced lightweight metal manufacturing technologies and implement education and training programs.